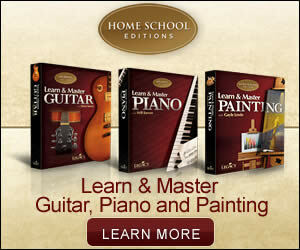 What You Get: * Perfect Pitch Program on Audio CD, * A Course Handbook, * 2 FREE Bonus CDs. Money Back Guarantee: 6 months. From the moment that the user first starts it is easy to note just how organized and professional the Perfect Pitch package is. With a systematic approach, it becomes virtually impossible to mistakenly miss something or go in the wrong order. The exercises that ultimately are the key feature to the program itself, are explained in such detail that there is no confusion or doubt as to how the user should proceed. Perfect Pitch has a total of 24 sessions spread out over a total 8 CD’s. CDs 1-5 provide a solid foundation and a basic understanding for the user to fully understand Perfect Pitch and start becoming in tune with it. CDs 6-8 contain the advanced ear training lessons begin to reinforce and further tune the user’s ability to distinguish perfect pitch. David Lucas Burge discusses eventually understanding music, not only hearing it but visualizing it as well. To understand and experience music in your head without having to write it down. While the 80-page handbook provides some interesting information on the course itself, the meat and potatoes of the course does rely on the CDs themselves. Initially novice users may become frustrated with the fact that David Lucas Burge often speaks in superlatives when initially beginning the course. While there is something to be said about this approach, those who do not have any form of musical training may initially feel lost until they decide to brush up on some basic reminder courses. However, once they start differentiating between the different sounds, they are going to understand. It is important to note that David Lucas Burge does promise improvement but also suggests the user remain realistic, there are those that will have an easier time with music than others. One of the problems is that you are suggested to have your own instrument to accompany, preferably keyboard or a piano that you are able to keep a decent tune with. Without this instrument it becomes much harder for the user to experience and follow some of the exercises. This is also not a course that the user is simply going to pick up and immediately understand, to get the most out of Perfect Pitch it is going to take dedication from the user. While certainly an amazingly helpful tool for singers, it is important that buyers realize that Perfect Pitch does not offer a singing course nor does it offer a musical theory course. Perfect Pitch is a highly specialized course that is designed to train the user to hear the perfect pitch. With great narration, and easy to use lessons, it is very difficult not to highly recommend Perfect Pitch for those specific purposes.